The inscription is illustrated with photographs of the individual glyphs. The preliminary decipherment by David Stuart was prepared within days of the discovery and is presented here for its historical interest. 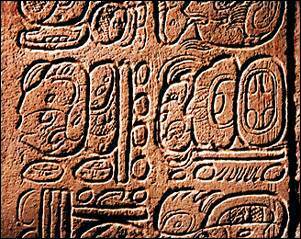 For Dr. Stuart's final reading see The Inscriptions from Temple XIX at Palenque. The preliminary drawing is by Merle Greene Robertson.